I started Scribus 6 years ago (2009) because an influence from [dot]BlendMagz (a Blender magazine by an Indonesian named Hizaro). 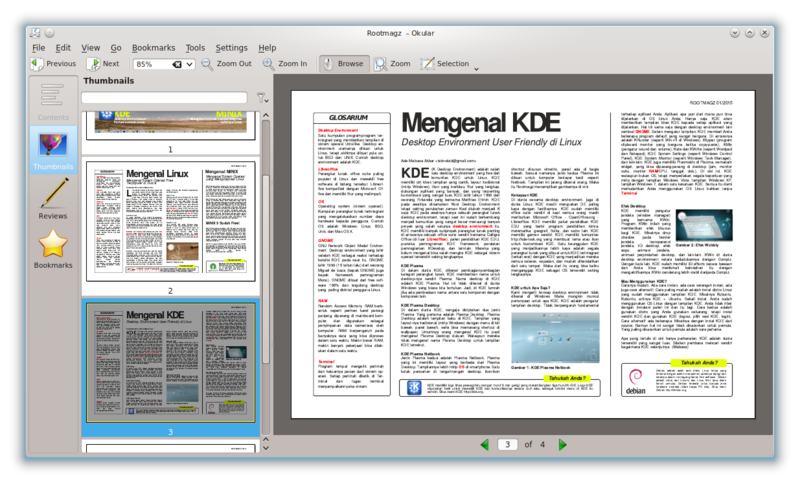 By a relatively long distance, finally I came to create digital magazine about GNU/Linux with Scribus. It is my first perfect stop in Scribus. I want to share with you my technical journey with Scribus in this thread. But I'm sorry it will be a random story. Honestly, I had some more influences at that time. Digital magazines such as CGCHOSEN, WOWMAGZ, and DigitalArts, gave me many inspirations to do graphic design especially a motivation to create my own magazine. You knew, those magazine are dedicated for proprietary software such as Adobe Photoshop. At the same time, I knew FullCircleMagazine which was created with Scribus. I knew BlenderArt which was same. And then in my country, I saw a single man created something like WOWMAGZ and FullCircleMagazine completely with Scribus. Highly inspired, heavily motivated, I was at that day. Until now. I had some trial and error experiments. At 2010, I created a digital magazine with Scribus. Amazing experience with Scribus. But that was a failed work in my opinion. I had no experience in DTP or any graphic design software before. So, it finished and published but failed. Starting 2012, I created my own blog about Inkscape. Yes, feeling failed about Scribus made me change my area into vector graphic. Somehow, I satisfied with Inkscape in order to finish my works. In my newbie mind, I *thought* Inkscape is faster than Scribus. My first work was poster, but believe me that was too ugly. I named my blog with Inkscape name. Until now, this blog became my personal gallery to share tutorials about Inkscape (mainly), GIMP, and later Scribus. Scribus (DTP in general) motivates me so much about cover layout. Because I had no skill in Scribus, I ran away to Inkscape. 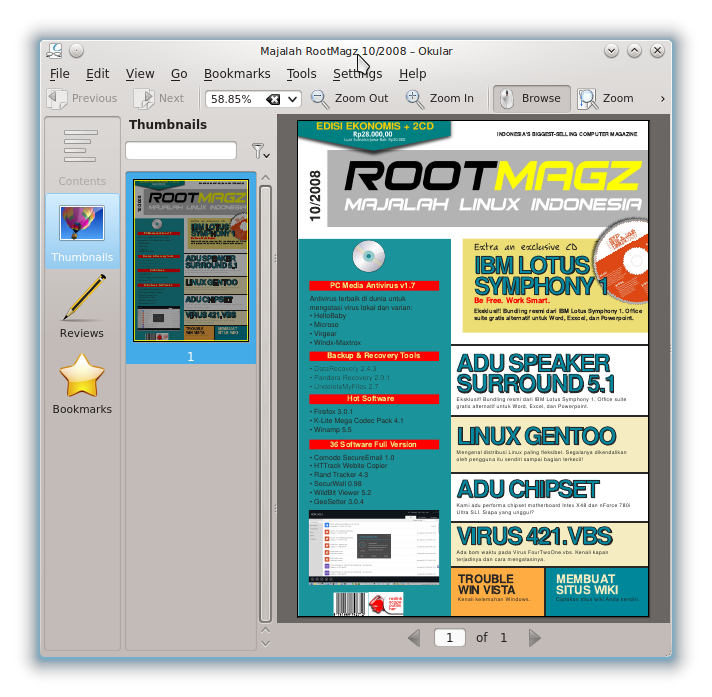 I create some cover layout in Inkscape. One of the best (according to myself) is below. Yes you are right, my biggest impression in DTP is cover layout. In Indonesia, there are popular computer magazines such as PC Media and CHIP. I have many physical exemplars of both. I clone their cover layouts with Scribus. Why I did this? Because cloning an artwork is the best way to understand the concepts and techniques behind it (at least for me). Here an example for my finished clone for PC Media magazine. It is ugly, though. Search this on Google Images -> linux user developer -> you will see one of the most inspiring FOSS magazine cover layout for me. 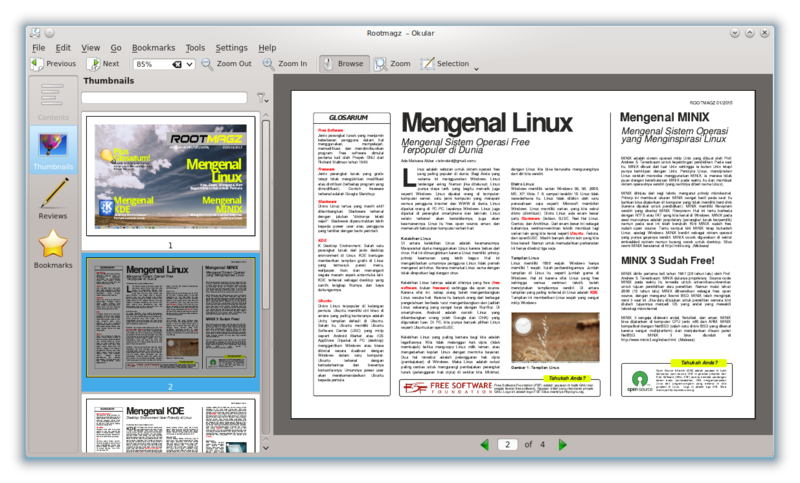 Again, search this on Google Images -> linux format magazine -> you will see one another inspiring FOSS magazine cover layout for me. 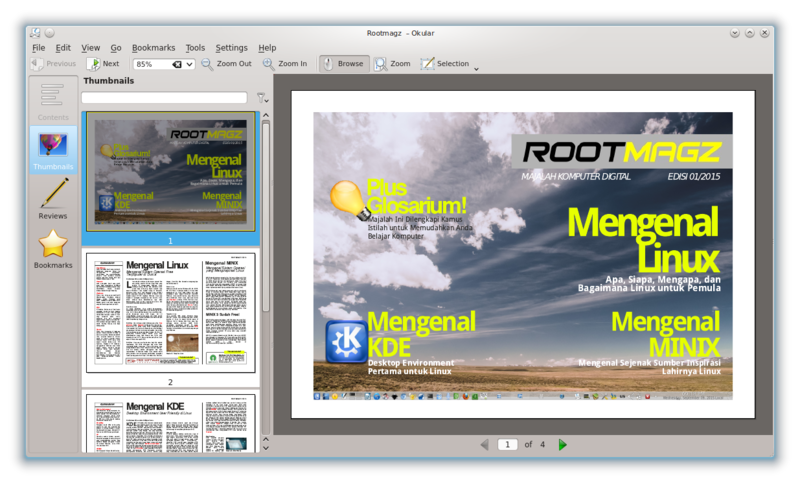 For me, Linux User & Developer (LUD) is better in cover layout than Linux Format (LF). Anyone ever read LUD/LF will understand how wonderful their cover layout. My real step, an exact step before my magazine, was this cover and page layout. I, unconsciously, created a foundation for my own magazine. Finally, at September 10th 2015 I published my first magazine with Scribus. 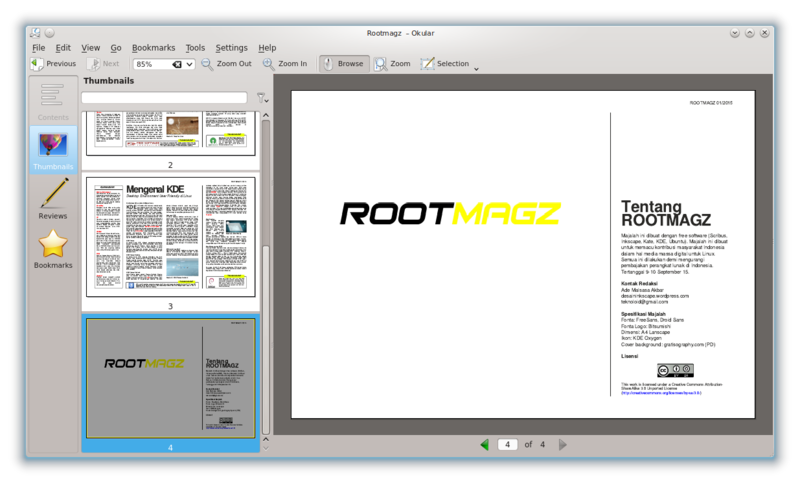 I name it Rootmagz. 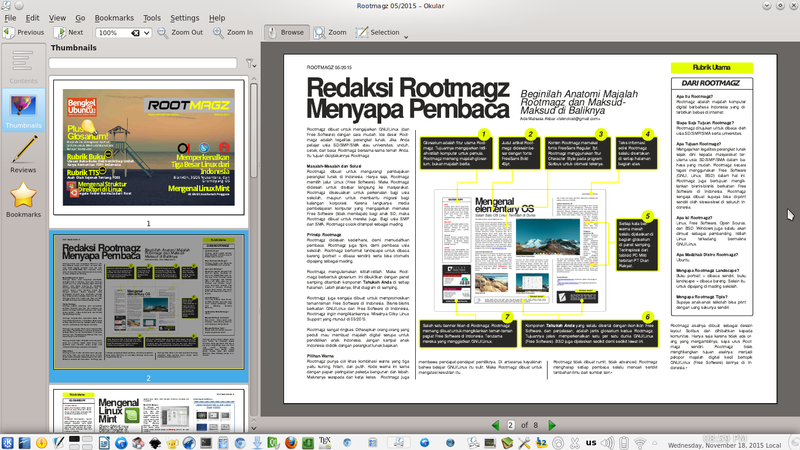 For my own self, I consider Rootmagz as my success with Scribus. 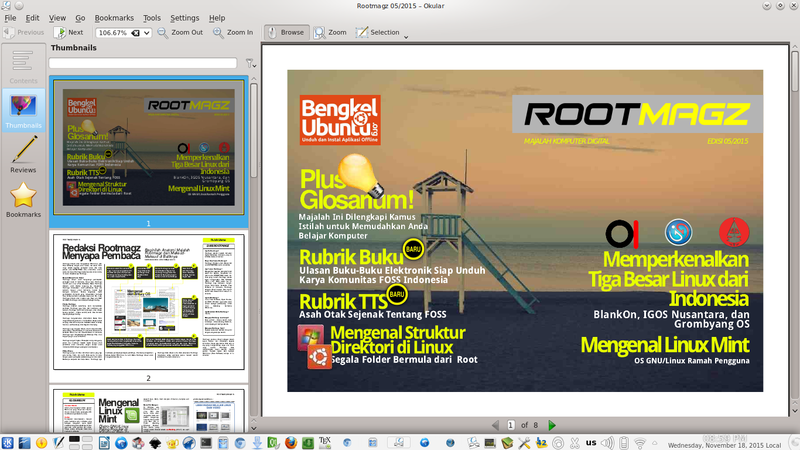 until now (November 24 2015) Rootmagz reaches fifth edition. I planned 06 release later at December 1st 2015 (if I can). This magazine is highly inspired from [dot]BlendMagz from its technical DTP layout and FullCircleMagazine for whole contents. Yes, it is impossible to bring FullCircleMagazine in Indonesia because English is nor our mother language. So I create "my own FullCircleMagazine". I know this is an old post but your work is very impressive!